Rhoophilus loewi (scanning electron microscopy). A, head, anterior view, female; B, head, posterior view, female; C, mouth parts; D, antenna, female; E, antenna, male; F, mesosoma, dorsal view, female; G, mesosoma, anterodorsal view, female; H, mesosoma, lateral view, female; I, forewing, adult female. Rhoophilus loewi (scanning electron microscopy). A, tarsal claw, female; B, metasoma, lateral view, female; C, mesosoma, posterodorsal view, female; D, terminal larva, ventral view of the body; E, terminal larva, anterior view of the head; F, terminal larva, anterior view of mouth parts; G, terminal larva, anterior view of left mandible; H, terminal larva, anterior view of right mandible. 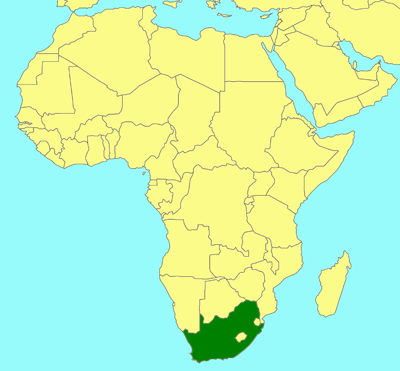 South Africa: Western and Northern Cape Provinces. Inquiline forming secondary cells in galls induced by Scyrotis species (Cecidosidae) on Searsia = Rhus (Anacardiacaea) species. The larval cells expand into the hollow interior of the host gall resulting in death of the gall inducing moth larva. Galls of Rhoophilus loewi. A, B, leaf galls on Searsia lucida; C, flower gall on Searsia lucida; D, young gall cut open showing early instar Rhoophilus loewi larvae in situ; E, cross-section of young gall showing early instar Rhoophilus loewi larvae in situ surrounding the central Scyrotis locule; F, older woody leaf gall; G, older woody flower gall; H, old woody gall with Rhoophilus exit holes; I, cross-section of older woody leaf gall showing Rhoophilus loewi terminal-instar larvae in situ; J, cross-section of the same galls showing the Rhoophilus loewi adults shortly before emerging; K, Rhoophilus loewi adult in gall cavity shortly before emerging; L, stem galls on Searsia undulata; M, Flower gall on Searsia incisa; N, Leaf gall on Searsia undulata; O, Rhoophilus loewi adults in copula on Searsia lucida. Rhoophilus loewi, chalcid parasitoids and Scyrotis galls. A, Rhoophilus loewi adult; B, R. loewi ovipositing; C, Neanastatus rufatus (Eupelmidae) parasitoid of Scyrotis larva; D, Ormyrus sp. 1, probable hyperparasitoid of Scyrotis larva; E, F, Scyrotis leaf galls on Searsia lucida; G, Scyrotis leaf gall on Searsia lucida starting to exfoliate; H, exfoliated Scyrotis leaf gall on Searsia lucida showing jumping bean, which will drop to ground; I, cross-section of Scyrotis leaf gall on Searsia lucida showing final instar Scyrotis larva; J, final-instar Scyrotis larva; K, cross-section of Scyrotis leaf gall on Searsia lucida showing parasitized Scyrotis larva on the right and chalcid ectoparasitoid larva on the left; L, stem galls on Searsia laevigata; M, stem galls on Searsia laevigata with exfoliated gall after jumping bean has dropped; N, pixie-cap stem galls on Searsia incisa; O, second type of stem gall on Searsia laevigata; P, pixie-cap leaf galls on Searsia undulata. Mayr, G. 1881. Die genera der gallenbewohnenden Cynipiden. Jahresberichte der Rossauer Communal Oberrealschule im I. Bezirke 20: 1–38. Photographs and map illustration © Simon van Noort (Iziko Museums of South Africa); SEM's © Jose-Luis Nieves-Aldrey.